More than 1,300 tracking companies are following us across the Web. But who they are and what they know is a mystery to most. I’m getting that paranoid feeling again. You know, the one where you think someone or something is stalking you across the Web, watching everything you do and then suddenly just showing up as if their presence was just a random coincidence? Every step I take, every move I make, it follows me. This ad shows up in banners, it shows up in sidebar boxes, it even shows up as text ads inside gMail. Yesterday, though, was the kicker: That very same ad showed up four times on the same page. Why? As it turns out I was writing a short blurb about Jitterbug phones for Family Circle magazine, which involved my visiting the Web site a few times over the course of a week to check specs and gather photos. That was enough to convince a web tracking tool that I was all in for grandpa-friendly smart phones. 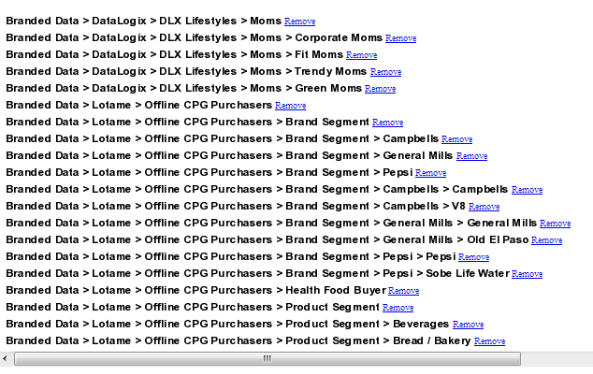 This ad was delivered thanks to a “retargeting” tracker from a company called AdRoll. Retargeting trackers watch what you do on certain sites – usually shopping destinations – then try to close the deal by displaying ads on subsequent sites you visit. That same Web page also contained a retargeted ad delivered by Amazon, where I had been shopping for jeans the day before. But there was only one of them, and that ad isn’t following me all over the Web. 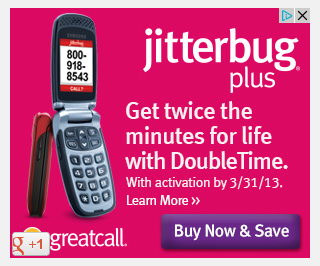 I’d had enough of the Jitterbug ads – this wasn’t “relevant advertising,” this was harassment. So I clicked the little blue Ad Choices button in the corner and opted out. Along the way, I took a look at the profile that had been compiled on me by BlueKai, a behavioral tracker apparently used by AdRoll to determine what kind of human being it thinks I am. On the other hand, BlueKai correctly determined that I have two teenage kids, I’ve lived in the same place for more than 7 years, carry a mortgage, and like sci-fi movies, travel, and politics. Here’s something disturbing. Last time this kind of thing happened to me I am pretty damned sure I went to the Network Advertising Initiative Opt Out Page (NAI) and told these companies to stop tracking me – and I am certain BlueKai was one of them. Today, when I visited that page, I found that I had been opted out of 55 tracking companies, but 28 were still following me. So either these are new companies that have been added since my first opt out, or some of them are simply ignoring my opt out requests (it’s happened before). The NAI opt out page lists 98 member companies. You want to know how many tracking companies are actually out there? More than 1,300, according to the latest Global Tracker Report from Evidon, which manages the AdChoices program and collects data from nearly 8 million users of its Ghostery browser plugin. All told, these 1300 companies deploy some 2,800 different pieces of tracking technology to make sure that, no matter where I roam, I get to see the same damned ads over and over again. What’s wrong with this picture? Everything. It’s why we desperately need some kind of federal legislation that gives consumers real power over the data these no-name companies are Hoovering up about us. Look for more on what’s so wrong about online tracking in a future post.